To make the Hawaiian sauce: Combine all the sauce ingredients in a medium saucepan and stir until the cornstarch is dissolved. Bring the mixture to a boil, reduce the heat to medium and simmer for 2 minutes. Set-aside until ready to use. Thread the skewers. 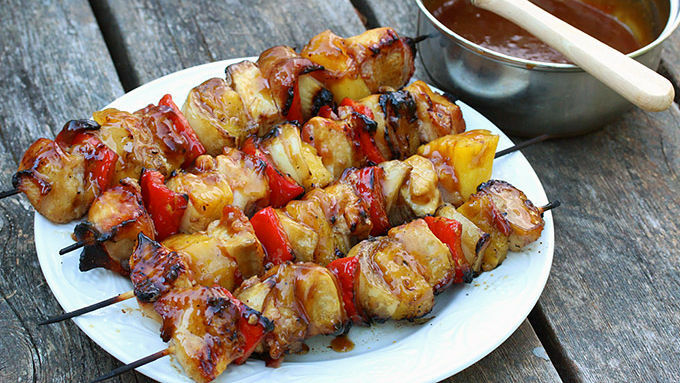 You'll need two strips of bacon per skewer if using 4 pieces of chicken and 3 pieces each of pineapple, bell pepper and onion. Weave the bacon around each piece of chicken and pineapple, stick the bell pepper and onion together and weave th bacon around both of those. Brush some olive or vegetable oil evenly over each kabob. Preheat the grill to medium high. Grill the kabobs for 10-15 minutes, turning a couple of times, until done. If using wooden skewers, soak them for at least 20 minutes in water before using. It's not just that the bacon itself tastes divine. 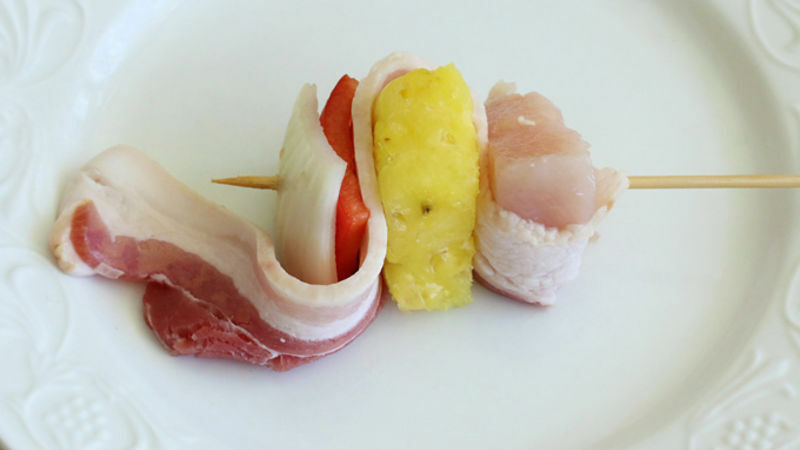 Woven around the other ingredients on the skewer, it naturally bastes the pineapple, chicken and veggies during the grilling process so that each morsel is infused with bacon goodness. 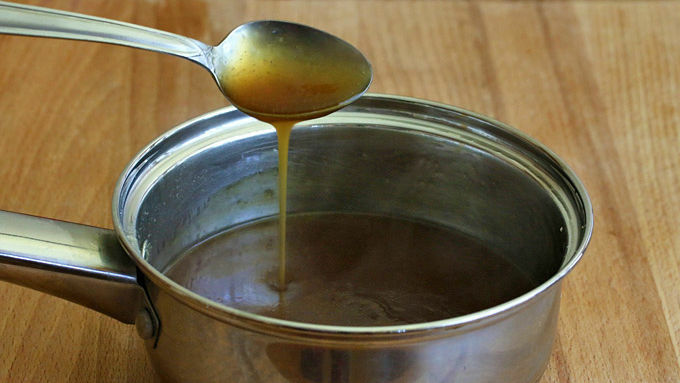 The Hawaiian sauce is quick and easy to make, but can also be made in advance. While our recipe uses chicken, pineapple, red bell peppers, and onions, you can use whatever vegetables you want. 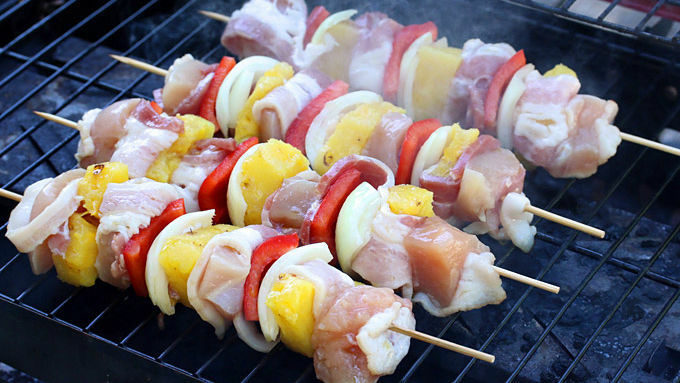 If using wooden skewers, be sure to have soaked them in water for at least 20 minutes.